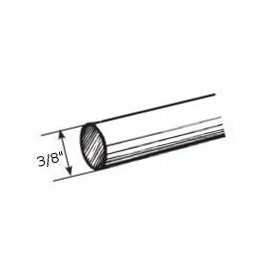 BasicQ, The Curtain Rod Supply Center: How Wide Should My Curtain Rod Pocket Be? How Wide Should My Curtain Rod Pocket Be? Here is some guidelines for sewing your pocket the perfect size when shirring a curtain onto a curtain rod of various shapes and sizes. You can also use this guide when selecting ready made curtains to purchase. Come back for more tips and tricks to making your project go smooth for a professional looking job. Take-up - The distance the drapery is shortened when shirred through a rod pocket. Equal to rod thickness.